In the rural village of Ketumbeine, Tanzania, a group of mothers sit shoulder-to-shoulder under a cloudless sky stitching intricate little crosses out of brightly colored beads. Heads bent over their beadwork, they share stories, advice, laughter and tears as they work into the afternoon. They’re friends, but they’re also business partners. 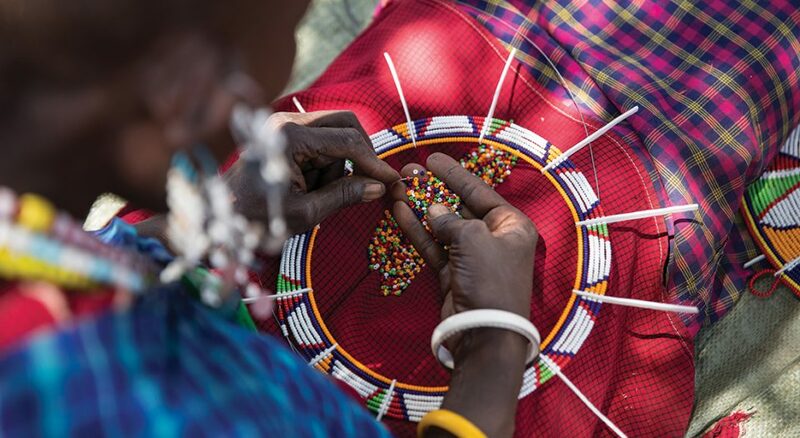 Their beautiful beadwork isn’t a hobby—it’s a means to feed their families and send their children to school in an environment where resources are increasingly scarce. They are the artistans behind the Naapok Bead Project. 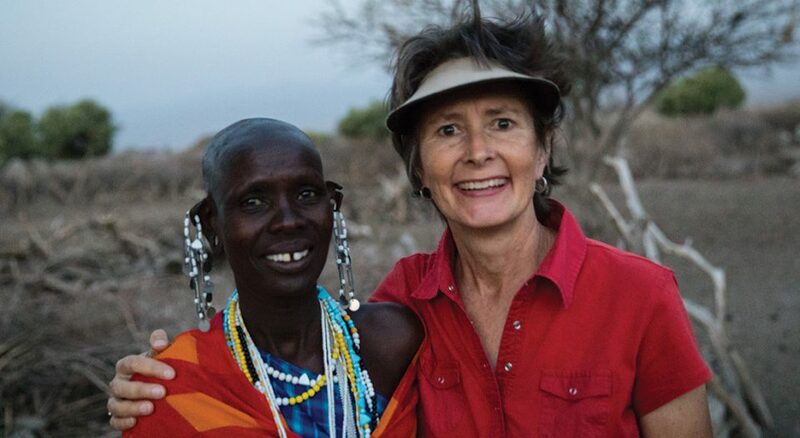 Founded by retired Lutheran schoolteacher Martha B. Laizer and ELCA missionary Bethany Friberg, Naapok has transformed the lives of Maasai women and their families for 18 years. “They honestly didn’t have enough for their children to eat,” Friberg said. But together, these women would change that. Maria’s and Kerea’s cattle were dying. Land that was once grassy in northern Tanzania was now dusty and dry. Maria and Kerea (last names withheld) are Maasai, a seminomadic tribal community that once lived off livestock and the land entirely, functioning without money. A prolonged dry season combined with overpopulation, land restrictions and environmental degradation now make that impossible. With children to support, Kerea needed to do something. She began selling alcohol to survive until she learned about Naapok. Friberg got involved in 2000 when Laizer asked for help with finding a market for the beadwork. They were friends, connected through her family’s missionary work with the Evangelical Lutheran Church in Tanzania. At first, Friberg had some reservations: “I was feeling like I was barely coping out here. I didn’t have any background in marketing. On the other hand, these were my friends, neighbors .…” Ultimately, the pull of community convinced her. They started out small. Friberg worked with the women to select and develop two ornament-sized items to sell. Their first customers were members of ELCA congregations. Naapok, which means “a creation,” became a way for them to bridge that divide and earn the supplemental income they needed for food, school fees and clothing. “We never knew that beads could be turned into food: by making them, selling, and hence getting money to buy food,” Maria said. Over time, Naapok developed into a full-scale income-generating project with 55 artisans. Each month, Friberg works with Naapok leaders to make a list of products to be made and supplies needed. Their products now include patterned necklaces, bracelets, earrings and whimsical beaded animals. 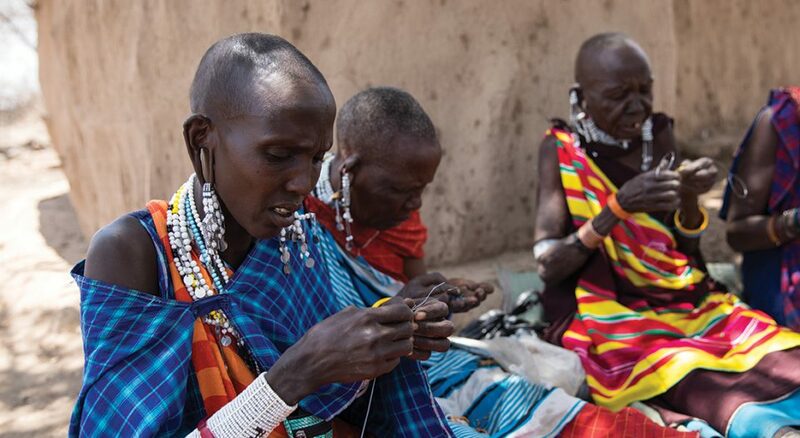 Leaders assign work evenly among artisans, who do their beadwork at home and during twice weekly meetings. Most orders are sourced from ELCA members connected with Friberg and her husband, Steven. Women are paid once a month based on work completed, and they set aside a portion of their income for a microloan program. In the project’s 18 years, Friberg counts this as one of its greatest accomplishments. Microloans become available on a rotating basis so women can purchase livestock or start small business ventures, she said. What is most remarkable, Friberg said, has been the difference in the women. Once thought of as dependents, they are now seen as whole contributing members of their communities. To get involved with Naapok, contact Bethany Friberg at bethany.friberg@gmail.com.